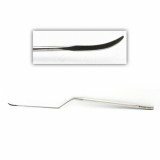 Below are examples of popular surgical knives for use in lumbar spine procedures. We can reference any catalog number from any company and we can help you with even the hardest-to-find knives. Contact us today for a hassle-free quote.